In the past, basements were used for doing laundry, storage, a workshop, or as a place for kids to play on rainy days. Basements were mostly ignored because they were considered damp and dark or unlikely to offer any return if homeowners finished them. Today, finished basements add not only livable square footage but also increase a home’s value. Many potential buyers won’t consider purchasing unless the basement is finished. Housing sales fluctuate, pushing many homeowners to stay in place rather than move. To get the necessary extra square footage, homeowners often finish their lower level. Since basements already have walls, a ceiling, foundation, electricity, and sewer hookups, it is frequently less expensive to finish the basement compared to adding a second story or more rooms to the main floor. Finishing the basement can be as simple as putting down an old rug and painting the cement block walls; or as complex as installing a bathroom, adding new flooring, drywall, larger windows, etc. 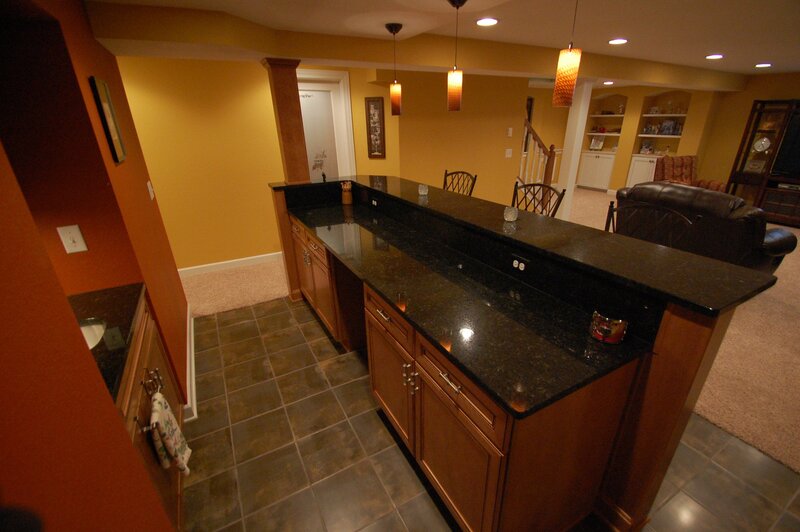 However, professionals suggest not spending more than 10% to 15% of your home’s total value on your basement remodel. That means, if your home is worth $200,000, your top budget should be between $20,000 and $30,000. How Will the Area Be Used? What do you need? A casual space for watching television and playing board games? A workout room? Another bathroom? More bedrooms? A home office? Think through the area and talk with an engineer, architect, or home builder to help you design the best use of the space. Be aware that to use the basement as a living area, you will need another egress – or a way to exit the house. For a window to be an egress, it must be large enough for a fully equipped firefighter to fit through. Before starting any projects, check the basement thoroughly to be sure you don’t have any moisture issues. Are there cracks in the floor or walls? Get them repaired first. How tall are the ceilings? You’ll want to keep them feeling as high as possible, so consider using recessed fixtures to keep the height and add lots of light. Just as most people like an open floor plan in the main living area, leave it open downstairs too. Try to keep the number of walls to a minimum, but don’t take any walls down until you talk to an engineer. They may be loadbearing. If your family intends to use the space daily, consider installing a full bathroom. It’s more expensive than just putting up some drywall, but another bathroom is not only convenient, it will add more to your home’s value. Hire a professional plumber, get good fixtures, and tile the floor and inside the shower stall. The initial cost is more but will make all the difference when you decide to sell. Experts state that finished basements offer a 70% payback. That means if you spend $25,000, your home’s value will increase by at least $17,500. And that’s a great return on investment. 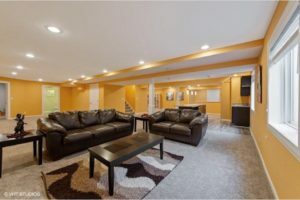 Thinking of finishing your basement? Contact an Award Winning Building & Remodeling Company Joseph Douglas Homes. Their architects can help make sure the end result is exactly what you hope for at a cost you can afford. Call today!